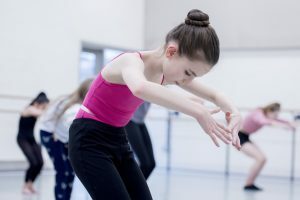 The Dance City Centre for Advanced Training is part of the Department for Education’s Music and Dance Scheme offering a contemporary dance training programme for young people from the North East region who are 10 – 16 years of age. We are based at Dance City in Newcastle, although students from the south of the region can attend their week day technique classes in Darlington. Entry to the CAT is by audition only, and we are looking for young people who demonstrate exceptional talent or potential in contemporary dance. Although students should be no more than 16 years of age when they join, once registered they can continue training until they are 18 years of age. What can I expect as a Dance City CAT student? A minimum of seven hours training, split over three classes per week. The choice to attend your two mid-week classes in Darlington or Newcastle. Mid-week classes cover contemporary technique and classical ballet. All CAT students attend weekend classes at Dance City in Newcastle. Weekend classes cover contemporary technique, creative movement and body conditioning. Regular opportunities to perform in the Dance City Theatre. Two intensive, week-long dance workshops each year (during school holidays) with a guest teacher or choreographer. Opportunities to attend workshops with leading dance companies and guest teachers. Organised theatre trips to see leading dance companies. Regular support for the prevention and management of injuries. Termly progress reports from teachers. Individual mentor support and mid-year tutorials. Advice and guidance during the application process for vocational training. The Taster Session will consist of a half an hour observation of current CAT students taking class, a 1½ hour contemporary class followed by a short break and then a 30 minute presentation about the CAT for both parents and students to attend. Attending a Taster Day will help you find out more about what it is like to be a student at the CAT and help you decide whether or not you are ready to make such a big commitment and if you want to apply for one of the open auditions. Email marian.milbourne@dancecity.co.uk or telephone 0191 269 5578. How can I audition for the Centre for Advanced Training? For further information and to apply for an audition please download the CAT Audition Application Form 2019. You will need to return your completed audition application form before Thursday 16 May 2019. Places at audition are limited so please book early as we cannot guarantee there will be space available on your preferred date and time. What should I wear at an audition? • Females – leotard / vest, footless tights, ballet shoes or socks. • Males – shorts and t-shirt / vest, ballet shoes or socks. If you do not have any dancewear, then leggings or shorts and a t-shirt or sports vest will be suitable. Loose clothing is not appropriate as the audition panel need to be able to observe body alignment. 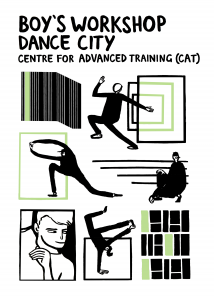 Dance City CAT – Funding and Fees? The Dance City Centre for Advanced Training is financially supported by the government’s Department for Education (DfE) as part of their national Music and Dance Scheme. The fee structure for CAT training is set nationally by the DfE. Means-tested grants are available to cover the cost of tuition and CAT students who have an annual household income of less than £30,529 will receive their training free of charge. Tuition fees for CAT students with an annual household income in excess of £30,529 are charged on a rising scale related to income. Before assessing your annual household income, £2,072 will be deducted from the final total for each child living with you as a dependant (including the child who is enrolling on the programme). 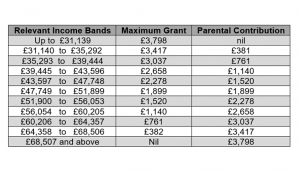 Please Note: The DfE may make slight adjustments to the fees and grants structure each year. The information on this web site is accurate at the time of publication and any adjustments for the following academic year will be minimal. I discovered the CAT scheme initially through wanting to try out contemporary dance. During a quick visit to Dance City for a leaflet, I was lucky enough to bump into the Head of CAT at reception, providing me with information about the upcoming auditions. Before joining the CAT I attended the local dance schools in my area, trying out different styles such as ballet, tap, street and stage dance. The biggest thing the CAT scheme taught me was discipline and dedication. 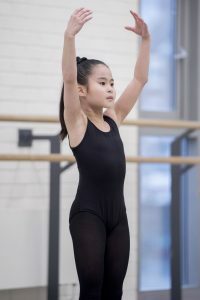 Joining at 12 years old, it was a big commitment for me to dedicate so much of my free time to dance, however, this instilled a really strong work ethic within me which I believe I’ve taken forward, not just into my dance training but into my way of living. After my time on the CAT, I continued my training at Trinity Laban Conservatoire of Contemporary Dance, achieving a First Class BA (hons) Degree. During my time at the school, I got the opportunity to perform works by many established choroegraphers such as Alison Curtis-Jones, Lizzie Kew-Ross, Marina Collard and Joss Arnott. Upon graduating I was awarded with the Sylvia Bodmer Memorial Fund for Outstanding Achievement in Choreological Studies. I then went on to join the postgraduate dance company ‘Emergence’ led by artistic director Joss Arnott. In partnership with the University of Salford, this course prepares dancers for a professional career in the industry whilst receiving a Masters in Dance Performance and Professional Practice. I would love to join a professional dance company and tour works internationally. It’s also important to me that I continue growing as a dance artist and find new ways to push myself as performer. Go for it! My best advice would be to forget about it being an ‘audition’. Try to relax and make sure you enjoy yourself, show who you are as an individual and why you deserve to be there! The financial support from the department for education grant allowed me to gain access to the highest quality training I could imagine. I am very thankful for what is has offered me and continues to offer to young people in the area. The CAT scheme was instrumental in setting me up on my career path and I am extremely thankful for the training I received from the most supportive teachers. Over the six years I was there, I made some amazing memories and great friendships. It was definitely hard work, but I wouldn’t be where I am today without it. When I was 14 years old a workshop was held at my high school; St Thomas More RC Academy where I then got invited to the audition day at Dance City. It was led by Martin Hylton who was a teacher on the CAT at the time. Before joining the CAT scheme I had trained in Ballet, Tap, Modern, Disco and Freestyle from a young age, but had never had access to contemporary dance before. The CAT scheme was my gateway into contemporary dance. It taught me how to get the most out of my training and how to excel physically in the studio with Ballet technique, various contemporary style classes, Body conditioning and creative sessions per week. Alongside the obvious intense dance training the CAT provides , the CAT taught me how to be courageous and confident as an artist from a young age and to develop a high standard work ethic in the studio in a class atmosphere but also how to present myself when working with professional guest choreographers and how to get the most out of every experience. The scheme led me onto gaining a First class BA (Hons) degree at Trinity Laban Conservatoire of Music and Dance in London in 2017. I then went onto to complete further training in Jasmin Vardimon 2 educational company which is a postgrad company created by leading choreographer Jasmin Vardimon. I am also a contemporary dance workshop leader for Theatre for Life education. I am currently working on a project in Ulm, Germany ‘wild_ grandchild of tree / electric’ with Friedrich Glorian & the heArtLight collective. I would love to make contemporary dance more accessible to young people in under developed countries. I would say GO FOR IT !! Go in with an open mind and enjoy the audition and just see what happens and can come from it. I would like to thank all the teachers, guest choreographers and class mates I met and got creative with in the studio. My time on the CAT and the people I met will always have a place in my heart. The Dance City Centre for Advanced Training is part of the Governments Gifted and Talented Scheme and is funded by the Department for Education (DfE). We offer FREE contemporary dance workshops to schools across the North East region. These contemporary dance workshops are led by a trained dance professional and are specifically geared to selecting students who may have the potential to successfully audition and join the Centre for Advanced Training. All of our talent scouts hold an enhanced CRB / DBS certificate. Offered from September – April each year. Available to young people in Years 6, 7, 8, 9 & 10 only. Available to all schools in the North East region free of charge. 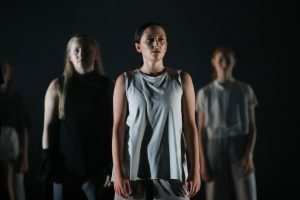 The Dance City Centre for Advanced Training is looking for young people who display the potential, enthusiasm and commitment required to undertake a high level of contemporary dance training. Students do not need to have had any previous dance experience to take part in a dance workshop in their school. How can schools book a Centre for Advanced Training contemporary dance workshop? What happens at a Centre for Advanced Training contemporary dance workshop? 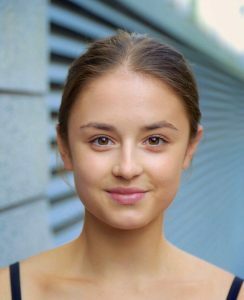 A talent scout from the Dance City Centre for Advanced Training will come into your school, to observe or teach a one-off contemporary dance workshop to a group of students (no more than twenty students per workshop). Following the session, the talent scout will talk to the teacher about any participants who have displayed potential in contemporary dance. The teacher will be given a flyer to pass on to the student about contacting Dance City. The Dance City Centre for Advanced Training is one of nine Dance Centres for Advanced Dance Training across England. The Dance City Centre for Advanced Training offers professional level, pre-vocational, contemporary dance training to talented young dancers aged 11 to 18 years old in the North East region.